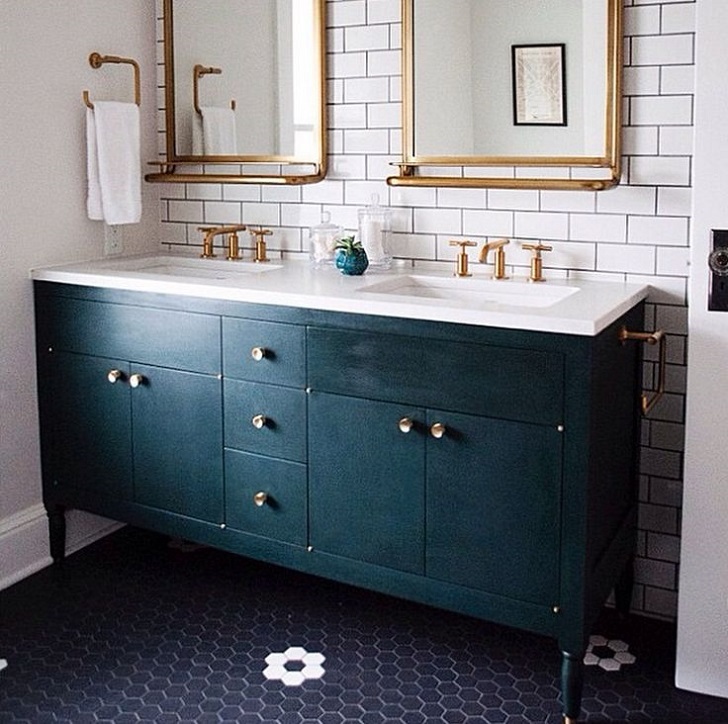 You need to remember some moments before making dark floor in your bathroom. 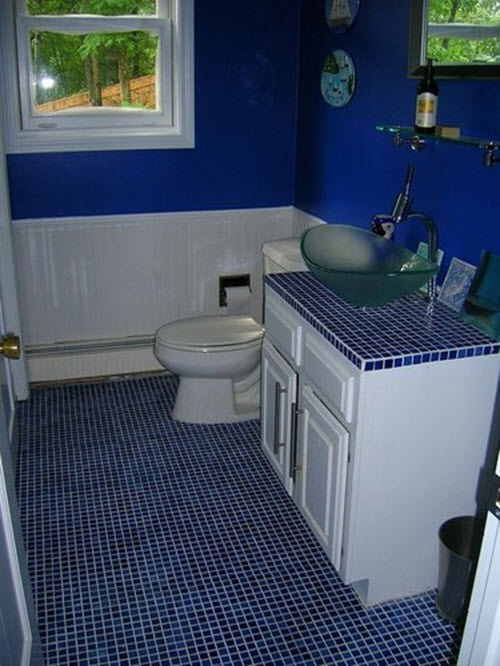 First of all, dark floors don’t fit every bathroom. 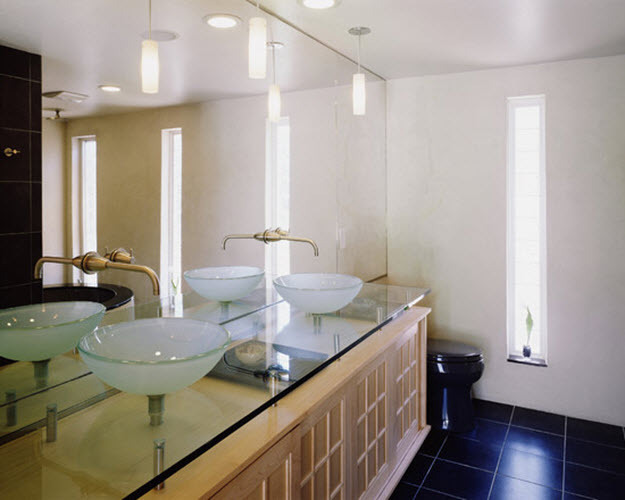 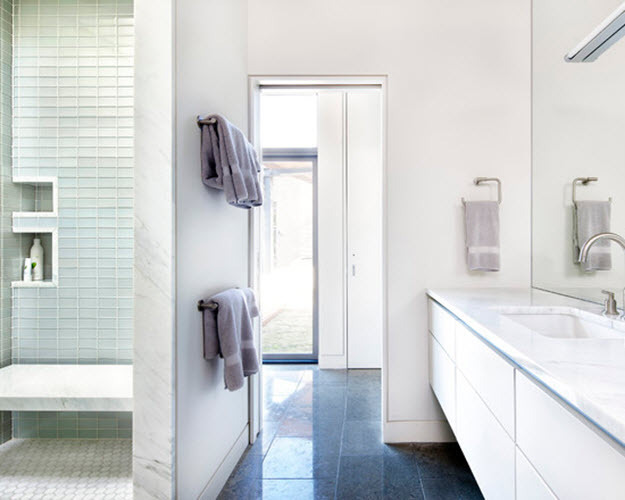 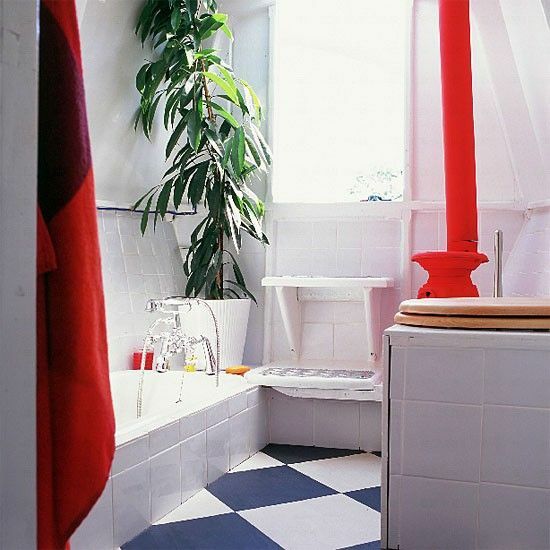 If you have tiny bathroom then it’s better to avoid dark colors at all or at least use them in the right way. 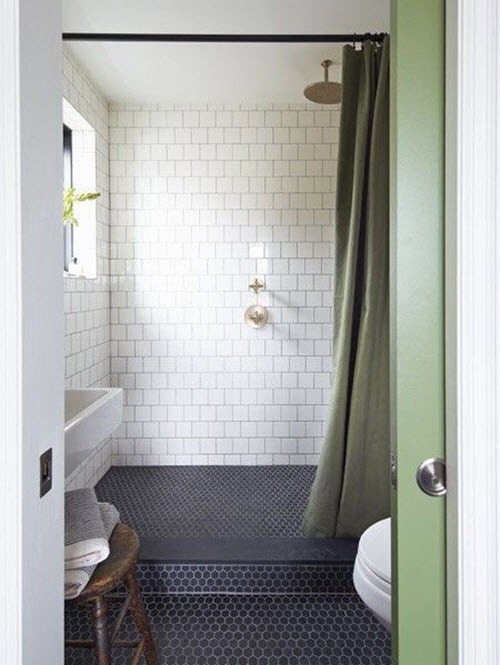 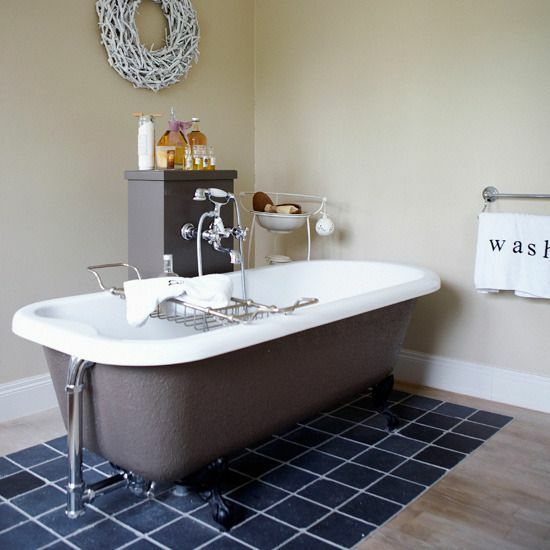 Secondly, dark floor should combine with the color of the walls and the whole decor in your bathroom. 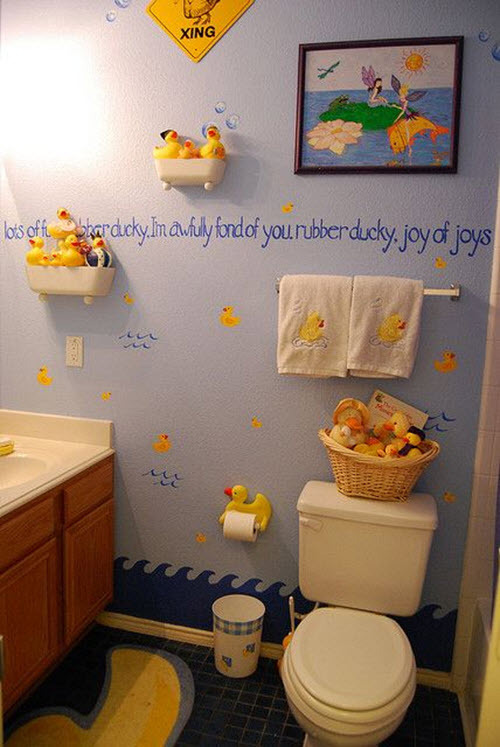 Otherwise, it will make the bathroom look smaller and we don’t need that, right? 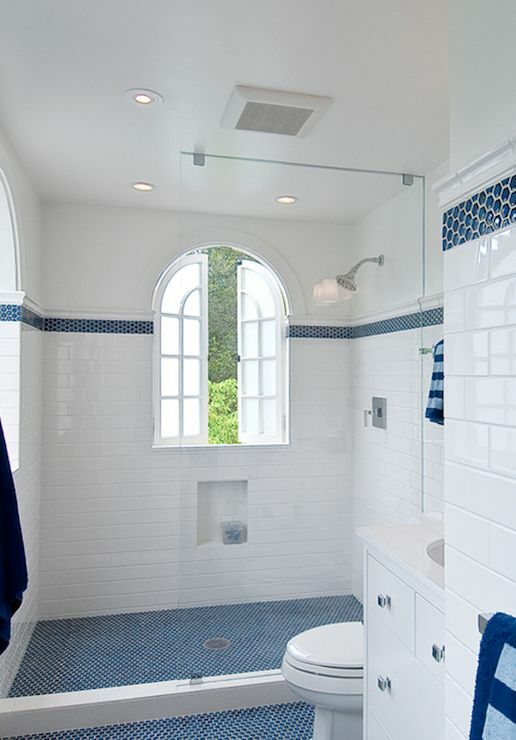 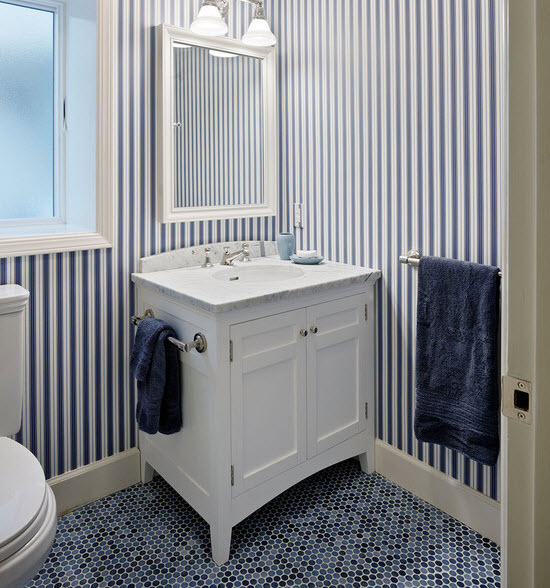 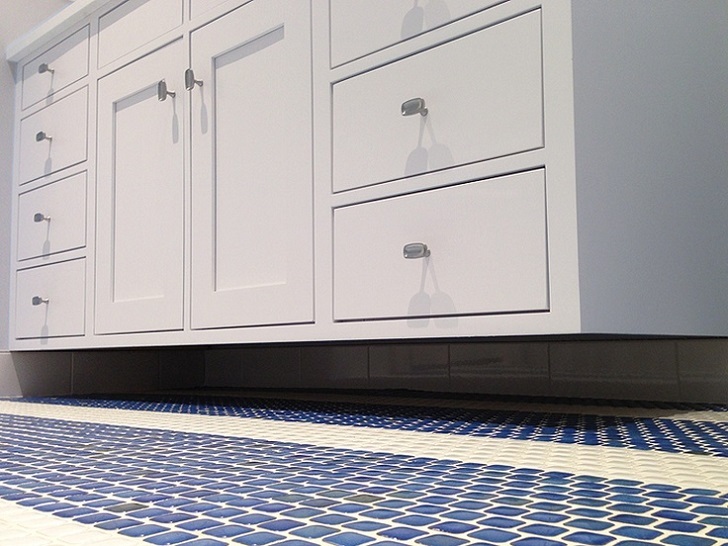 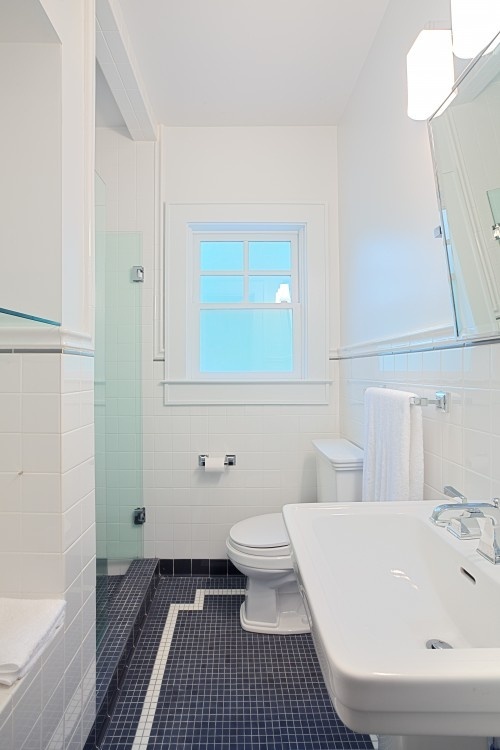 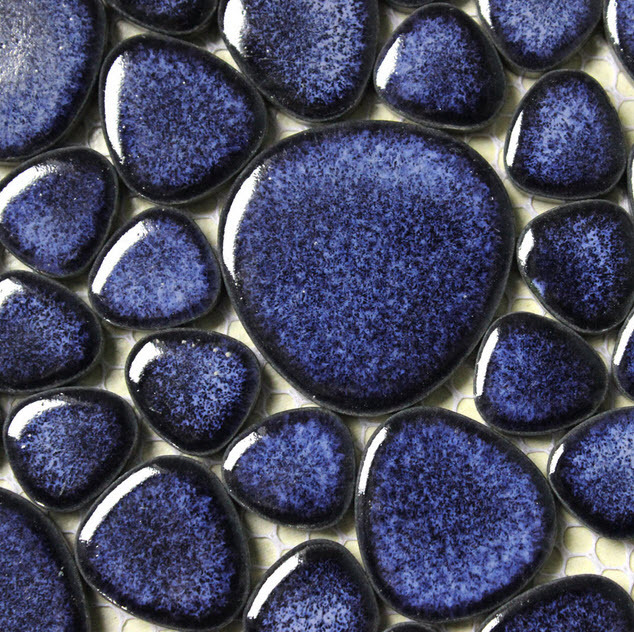 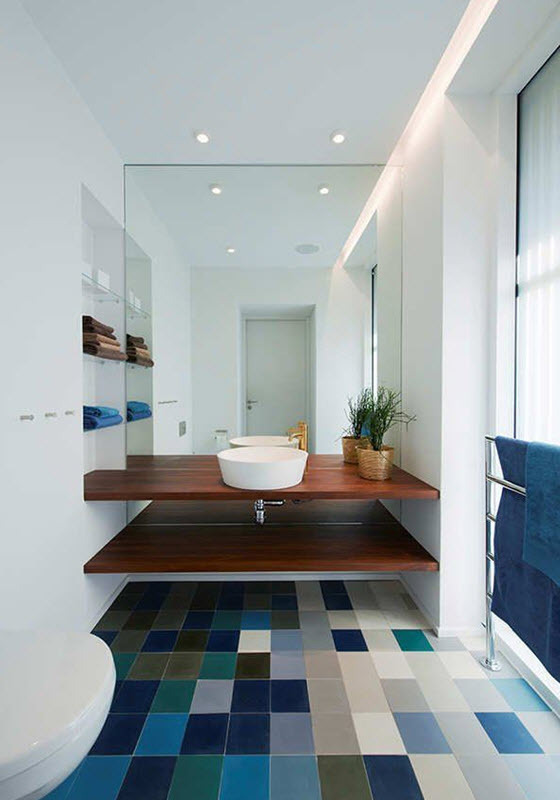 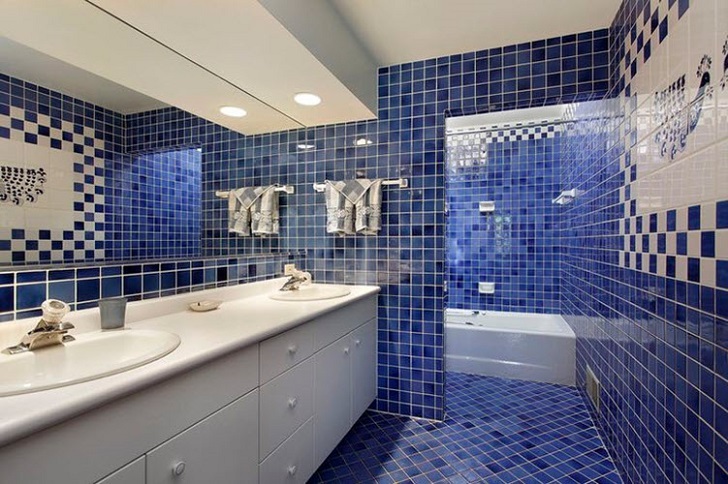 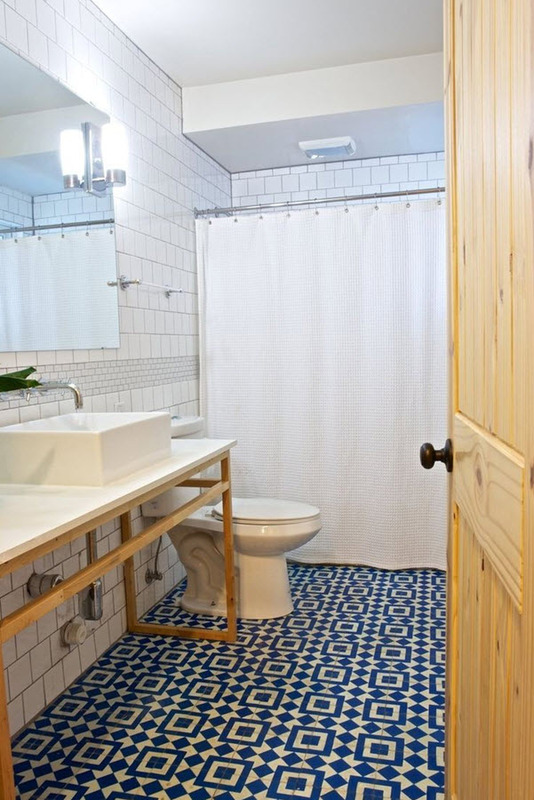 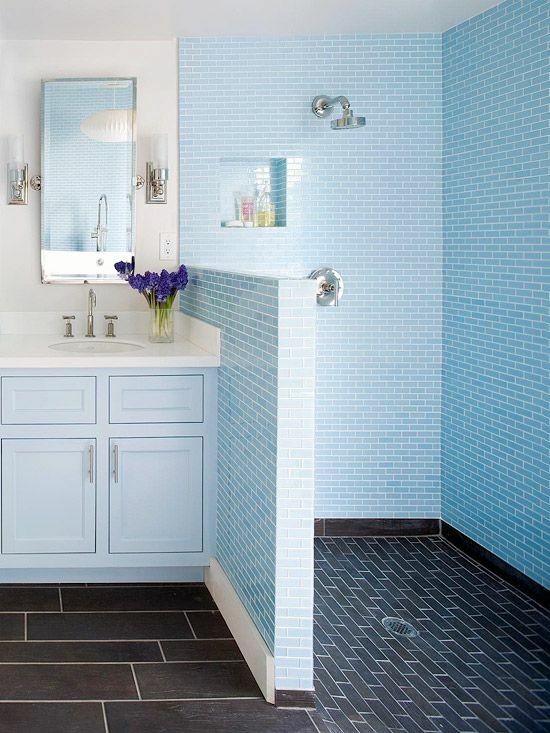 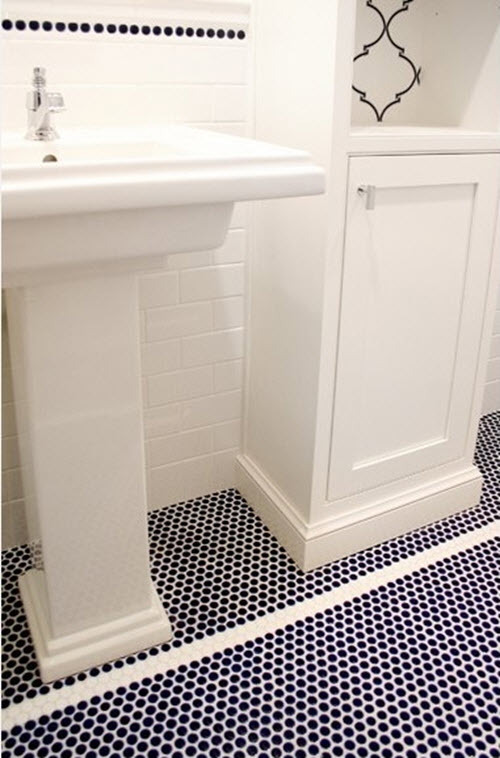 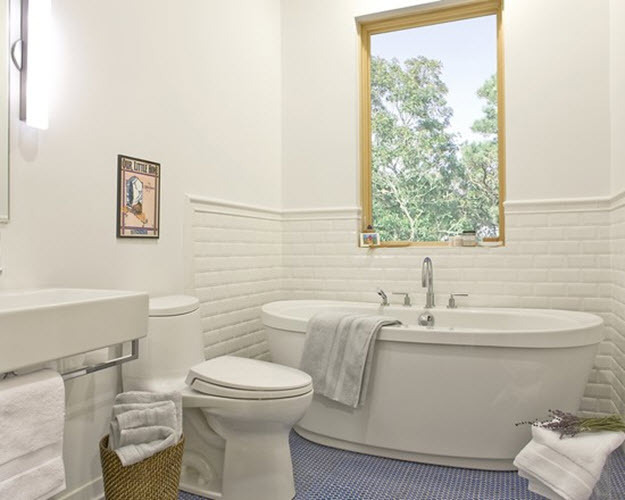 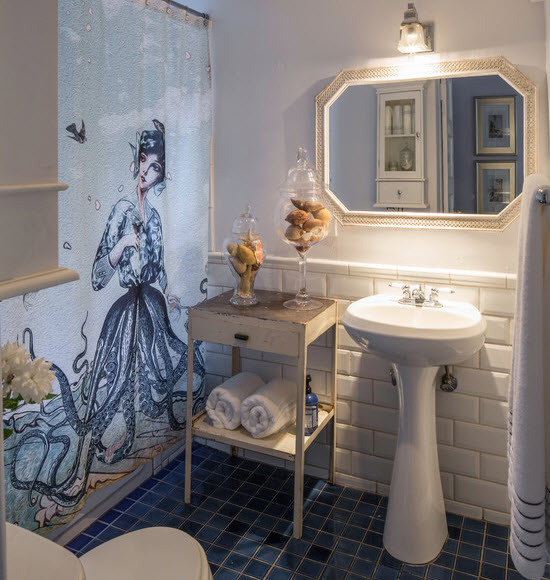 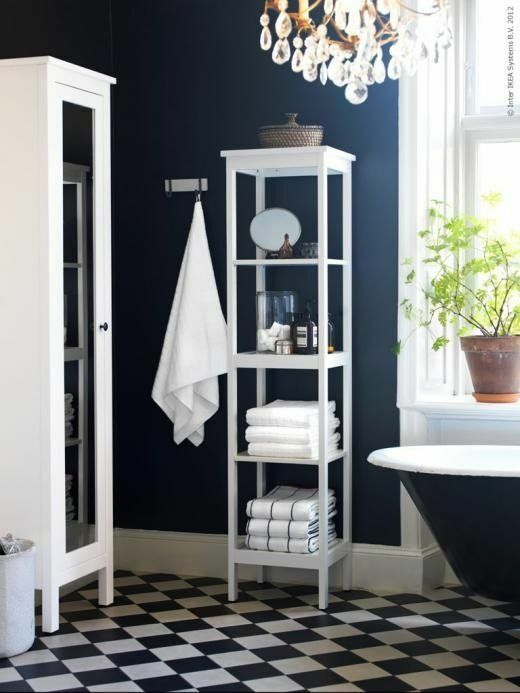 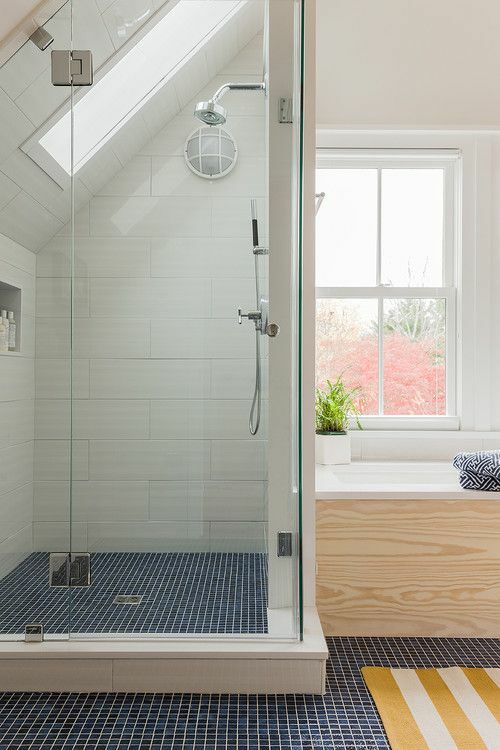 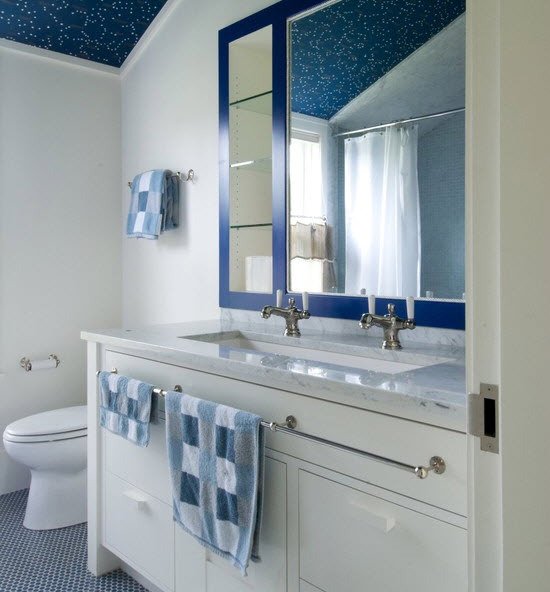 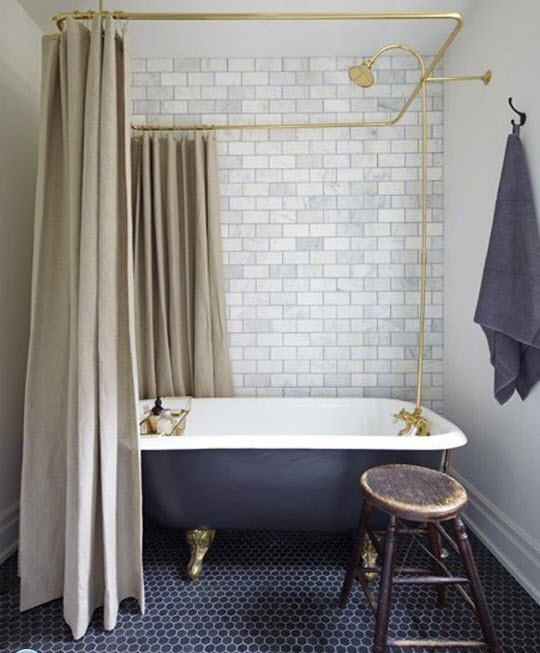 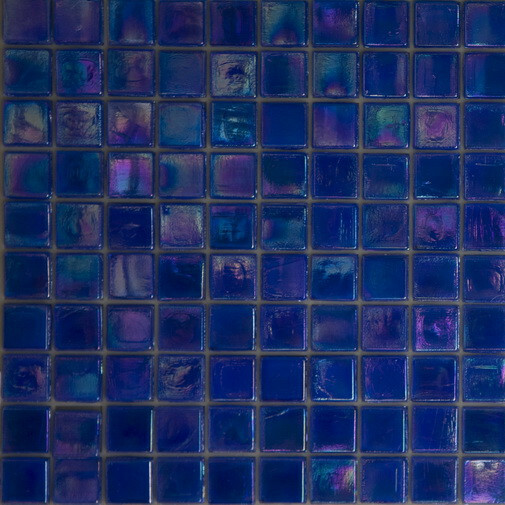 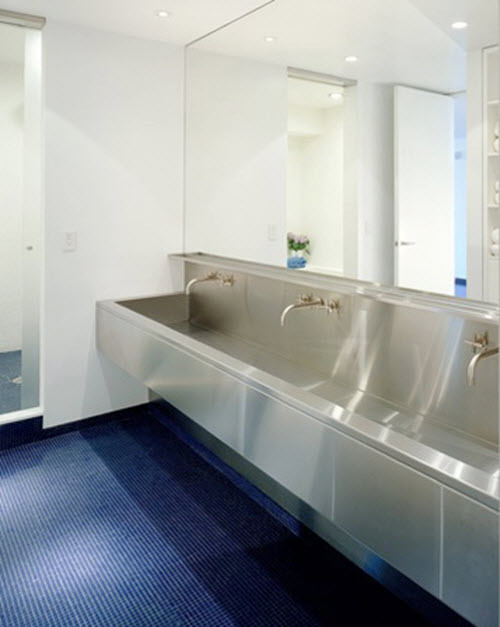 Dark blue is one of the most unusual and interesting colors for using on the floor of the bathroom. 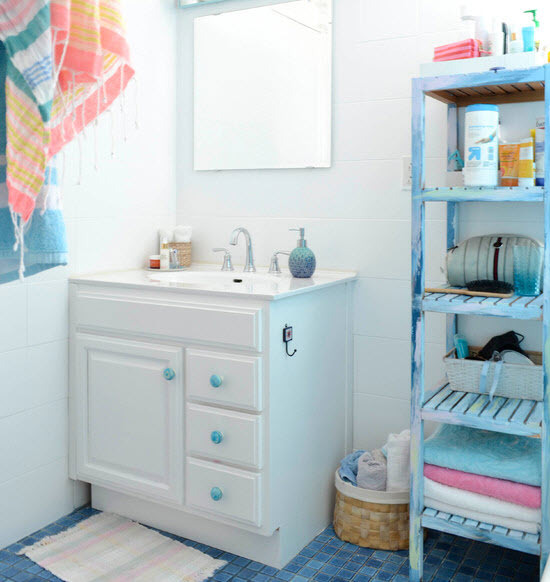 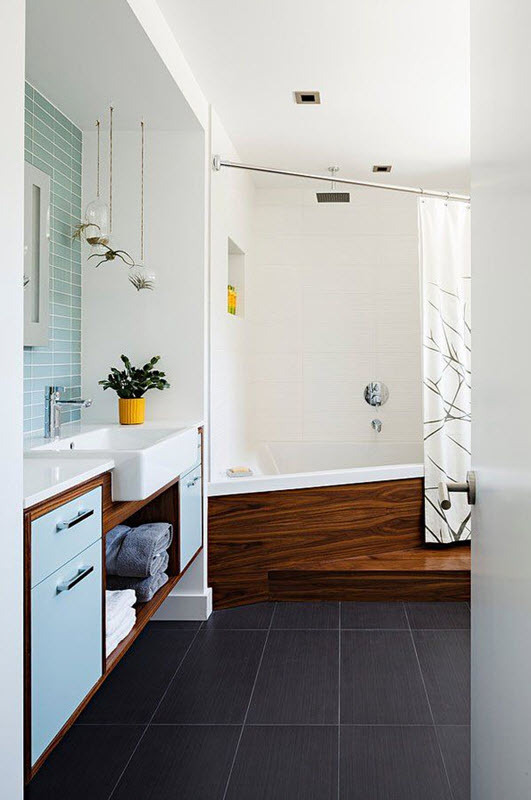 Blue is the perfect color for bathroom as it reminds of water and sea and if you need dark color on the floor look no further! 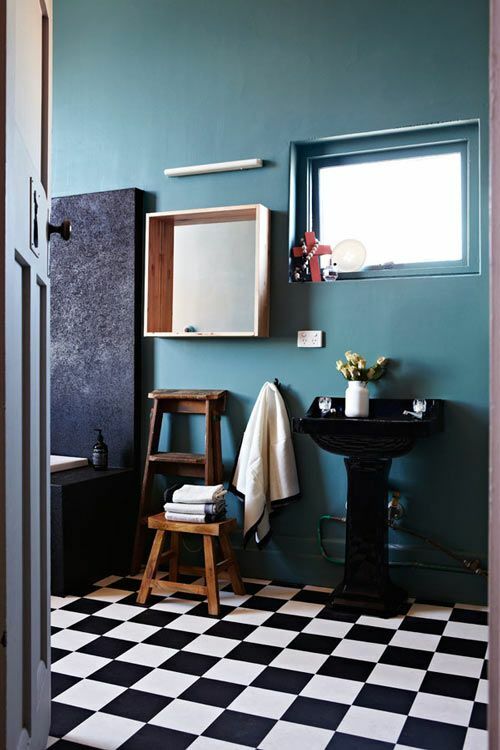 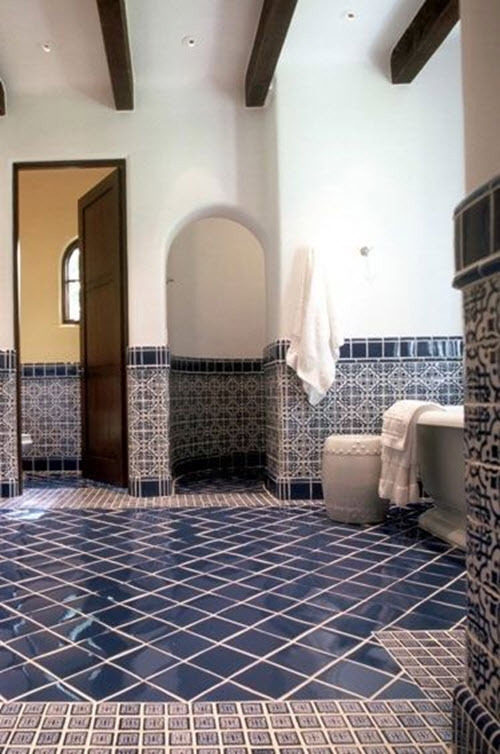 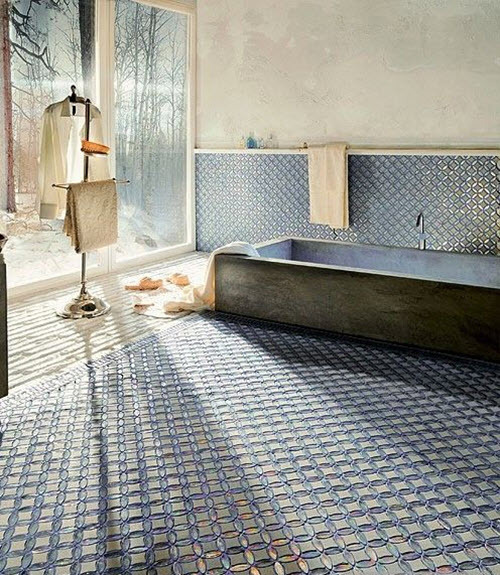 Dark blue bathroom floor tiles can be so different: square, rectangular, big and small, solid or with design and in combination with other colors. 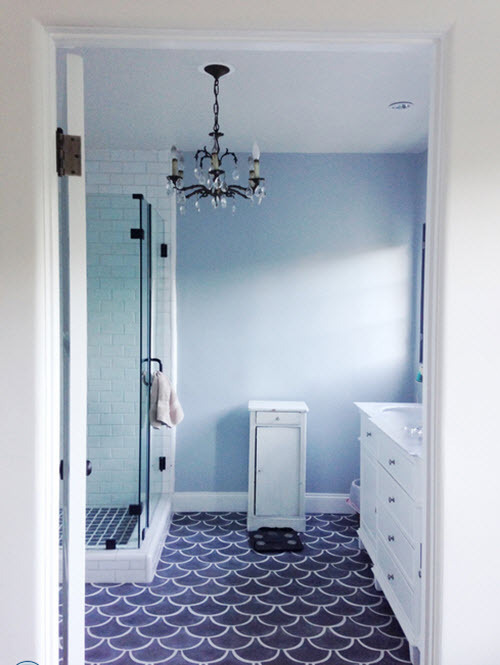 Some people prefer using only one color on the floor while others like to mix and match it with other shades of blue or completely different colors, like white. 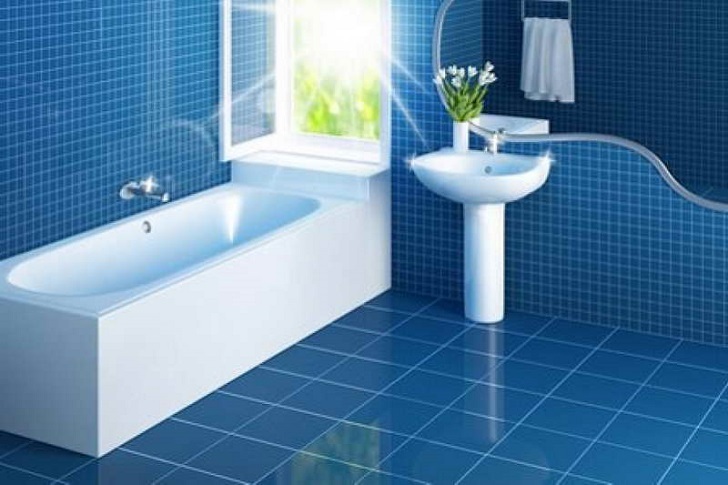 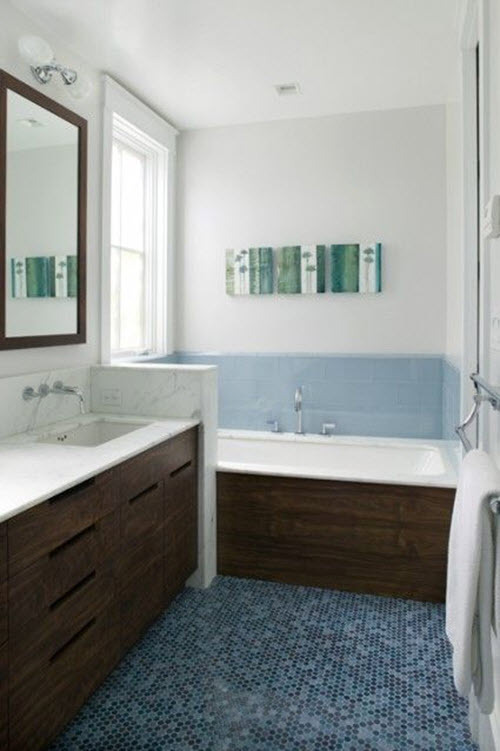 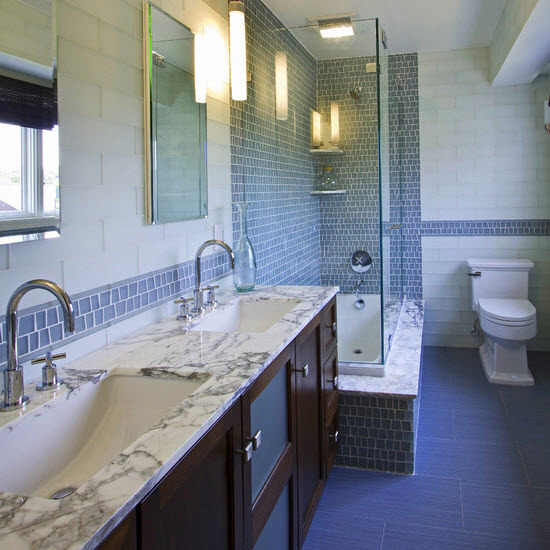 These ideas below will help you make the right choice of dark blue tile for the floor in your perfect bathroom.